I posted an article on suggestions to things that can make you better at relationships. The last advice was to become better at conflict resolution. I mentioned, that conflict resolution is not an easy matter. Conflict resolution is one of the top interests of people who ask me to speak. Conflicts can really make relationships messy and that is likely why so many people are wanting better tools. I have chosen to split the subject, conflict resolution, into three blogs. I want to offer good advice, therefore, it is not a subject I am just spending a short afternoon on. 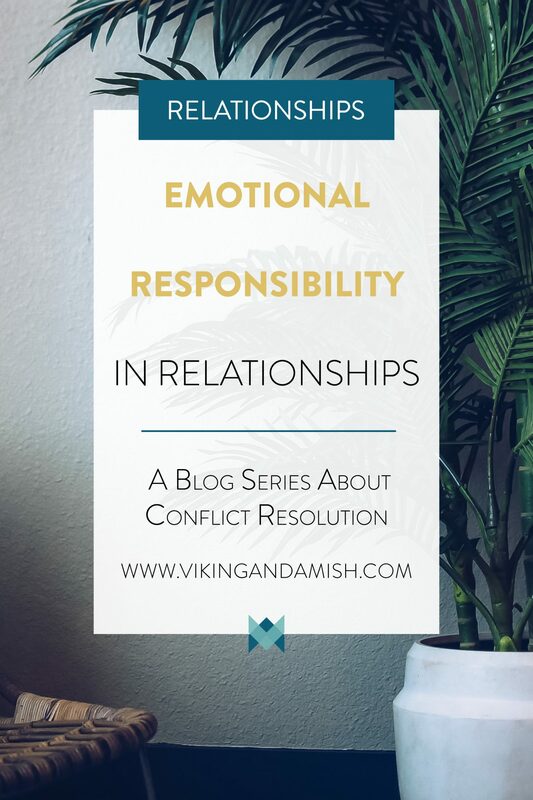 This first blog will focus on emotional responsibility. The next two blogs will tackle communication in conflicts and how to find solutions. 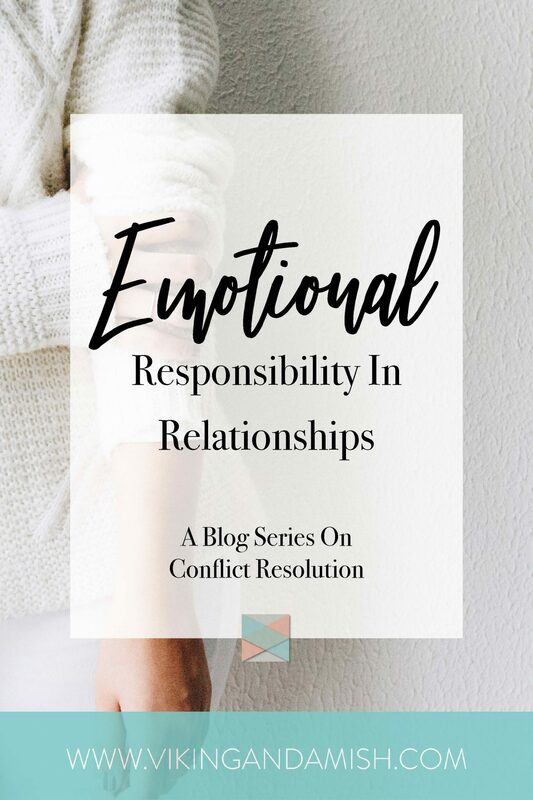 I hope that this blog will give you the tools to look inside, recognize emotions, and be able to see emotional patterns that cause conflicts in your relationships. 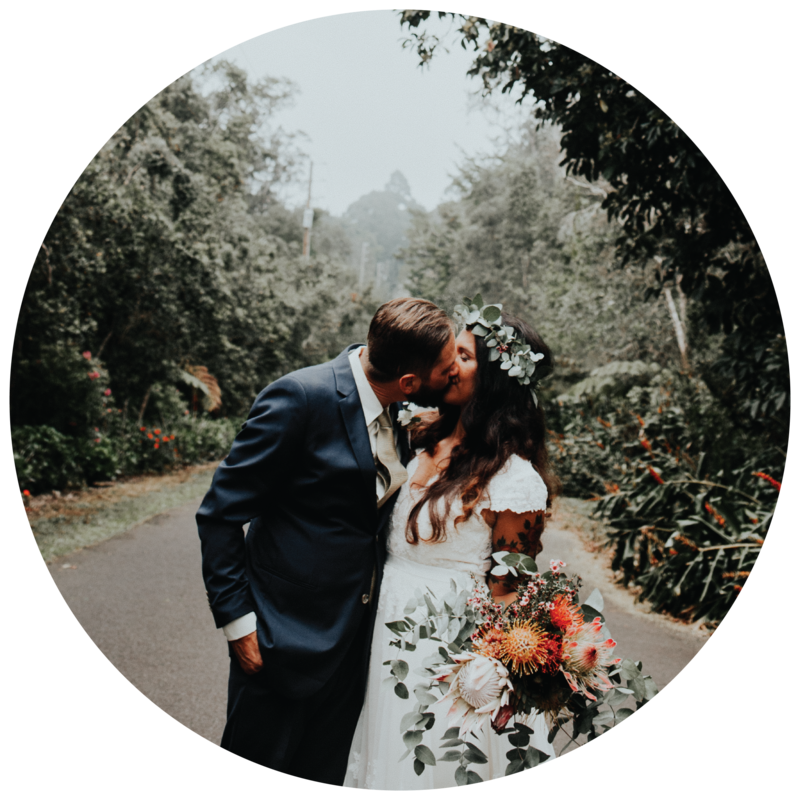 This blog will NOT teach you how to win all your arguments with your partner or how to avoid conflicts. All relationships have conflict and that is normal. Regardless, I hope to point you in the direction of how you can manage conflicts in a constructive way. 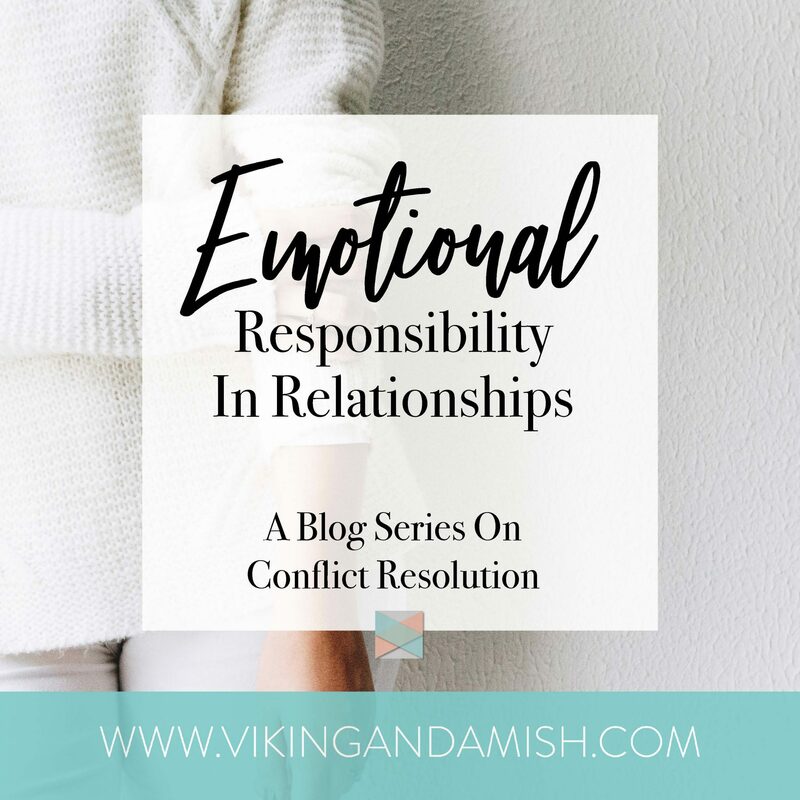 Disclaimer: This blog addresses relationship conflicts in non-violent, non-abusive, mutually agreed upon relationships. Some extreme forms of relationships force emotions because of violence and/or abuse. This form of conflicts is not normal. 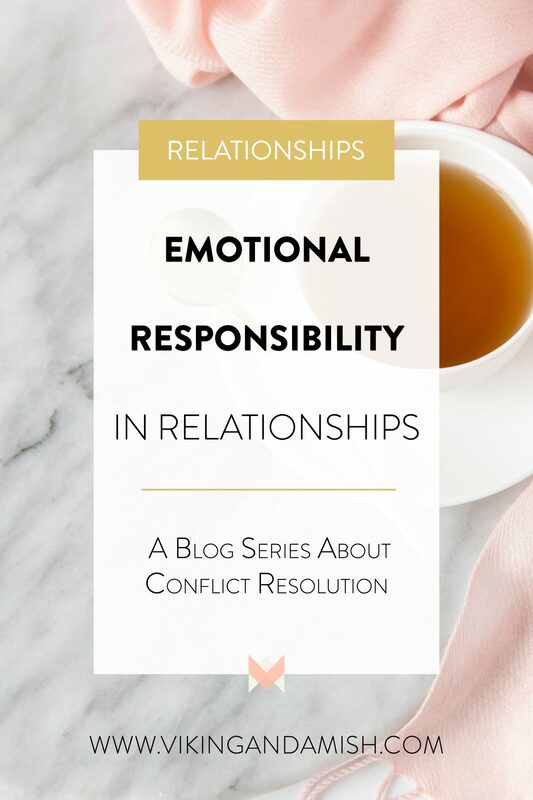 Also, that won’t be addressed in these blogs about conflict resolution. First, I would like to introduce you to a mindset that, when I first learned about conflict resolution, was new to me. I like to call it: “It’s not you—it’s me.” I know it is also a cheesy breakup line, but it is a good rule of thumb. Why might you ask? Because it indicates taking responsibility for the emotions we have. We have to take responsibility for our own emotions. If we toss the responsibility of our feelings upon others we end up in patterns of constant victimhood. Such pattern is unhealthy. With this mindset, we will have no control over our emotions. Our emotions happen TO us, not IN us. No, when the actions of another person affect us to feel a certain way, we must acknowledge our feelings. Once we have done so we can take steps to deal with them. We can’t expect others to sort out our emotions for us. It goes without saying, that in order for us to deal with emotions we must first recognize that we have them. This has to be the first step in emotional responsibility. Somehow it is easier for certain people to recognize how they feel, than for others. If you find it hard to describe your emotions there are ways that can help you figure out your emotions. If you need help expanding your emotional vocabulary, check out this blog. We can also look at our physiological reaction to communication with people. Raised heart rate, increased body temperature, or tightened jaw can indicate anger, fear, or even being in love. Once we recognized an emotion we have to determine what influenced it. Emotions are typically a response to actions and statements of another person. The way we interpret that specific action or statement affect our feelings about it. Emotions are INFLUENCED by other people’s actions, not CONTROLLED by their actions. E.g. When a person’s action affects us, we can either think it is nice (appreciation) or think it is rude (offense). That is, of course, over-simplified, but you get the concept. “People don’t make us like or dislike them, and believing that they do denies the responsibility that each of us has for our own emotions” (Adler & Proctor, 2014). This is crucial for your emotional well-being and the well-being of your relationships. What we think about someone’s actions or words immediately affects the way we feel about it. That means our interpretation of what someone says or does dominates our feelings—not what was actually said or done. 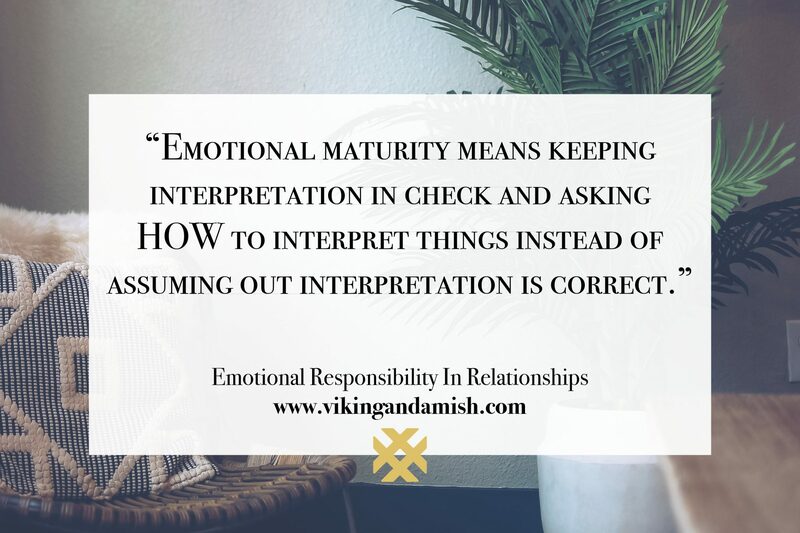 Emotional maturity means keeping interpretation in check and asking HOW to interpret things instead of assuming out interpretation is correct. Asking questions and checking our interpretation means speaking up when something influences our emotions. If we ask for an interpretation we will often find that there is a simple explanation. Conflicts are much easier to resolve when we don’t assume that the other person is trying to make us feel bad. The next blog in this series will focus on communication in conflicts. It will include a section on asking for an explanation—a tool that can diffuse a lot of potential conflicts. Thank you for reading this far. I hope you enjoyed it. I would love to hear your thoughts on emotional responsibility. Please comment below. Feel free to share this article with friends and family that could benefit from it.